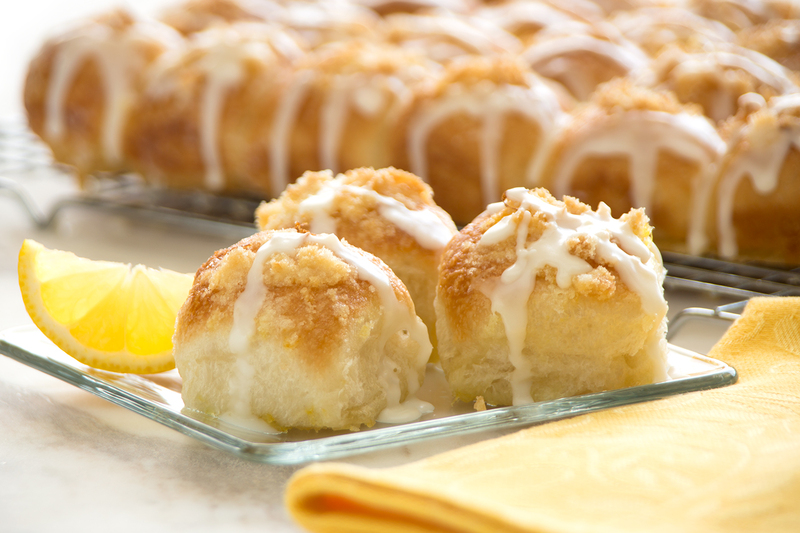 Citrus lovers will enjoy these sweetened rolls baked together in a deep dish pizza pan. Mix lemon zest with sugar. Cut rolls in half and place in a 12-inch sprayed deep dish pizza pan or 9×13-inch sprayed baking pan. Drizzle 1/4 cup melted butter over rolls. Sprinkle with lemon zest/sugar mixture, reserving 1/2 of mixture to sprinkle on just before baking. Cover with sprayed plastic wrap. Let rise until double in size. Remove wrap. Sprinkle on remaining mixture. Bake at 350 degrees F 20-25 minutes. Remove immediately from pan and place on cooling rack. I made these for dinner woth some freinds. They are very good, everyone raved about them. 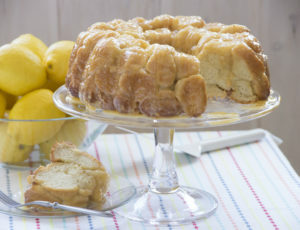 I love the bright flavoR from the fresh lemon and the bit of crunch from the zest and sugar mixture. I wil make these again and again.